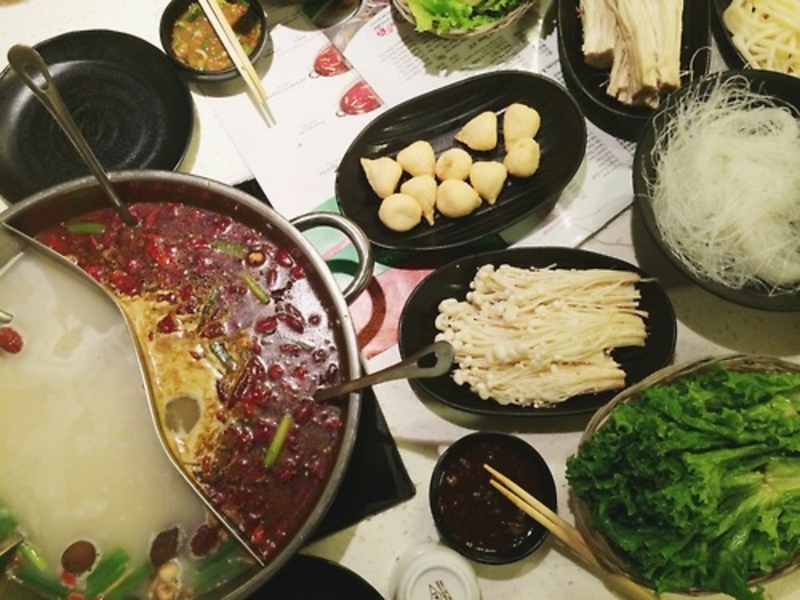 A new place opened in Flushing, NY called Little Sheep, which is a Mongolian hotpot restaurant. Since they have a deal of all-you-can-eat Tuesday's, my friends and I decided to feast here after class. They normally have a time limit as to how long you can stay since there's so many people waiting in line. This way, people aren't just hanging around after they're done eating. Somehow, we managed to get away with staying there for three hours... Talk about crazy. The soup was delicious and the food was good, too. The only downside was how hot it was inside, especially since yesterday felt like a giant world sauna.